Thank you all of you for all of your sweet comments! I am truly blessed to have a wonderful support system behind me! As a thank you for the feature I have a special coupon for the wonderful readers of this blog. Use the code ANYTIME15 for 15% off any purchase in my two shops. I am SO excited to introduce you this amazing young woman. 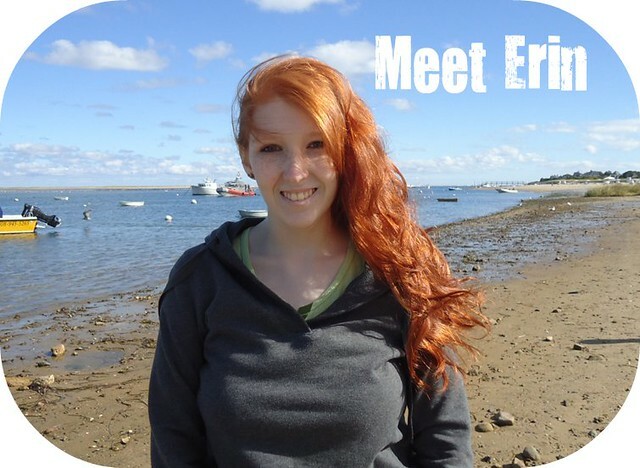 Erin is a talented aspiring student and jewelry designer who turns to upcycled creations as her outlet for a medical condition. She has a great story to tell so please enjoy it and make sure to check out her shops Antique to Chic and Antique to Chic Supply, facebook and twitter. She has achieved so much in life and is only nineteen. You are an inspiration Erin! Tell us a little bit about yourself and how you got started with making eco friendly jewelry. I am 19 years old, I live 30 minutes from Boston, MA. 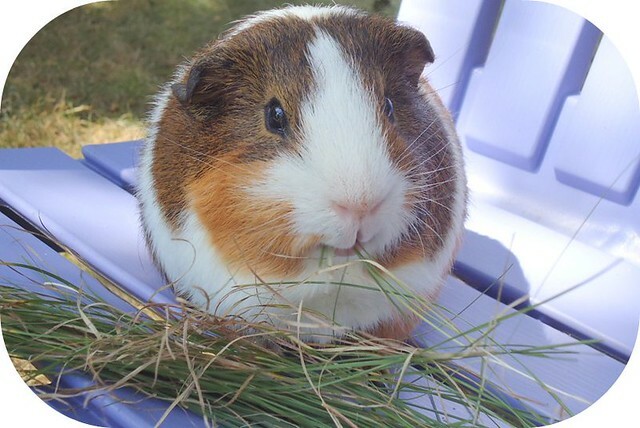 I have 2 cats, Cooper (an orange tiger, like Morris) & Nellie (3 colors, a calico), and a guinea pig, Roo. Cooper and Roo are the hams of the family, they're always making me laugh. Roo even has his own listing in my supply shop, Antique to Chic Supply. I live with my mom in our cute little house out in the country. We live right across the street from my great grandparent's old cow farm, now a house to a family trying to fix it up and bring it back to life. I am still in high school. I have had to step out so many times due to rises in my headaches, so I am currently tutoring to graduate in 2012. I started making jewelry when I was 14 years old. In March of 2006, I got a headache. That headache never went away, and the pain level was sometimes too much to bear. I was diagnosed with Chronic Daily Headache which means "you have a headache everyday, but we don't know what's causing it." One day I found some old clay beads and some string and Antique to Chic was born. I started out with the eco-friendly jewelry about 6 months later. I was always a flea market junkie and yard saler with my mother. I found the vintage necklaces and unwanted jewelry pieces were a lot cheaper than new beads. Most of the vintage beads are even made better than beads today, and they are definitely more interesting! My favorite part of making jewelry with vintage beads is I can bring something back from dirt and grime and make it into a new envied piece of jewelry someone will love. Do you have any favorite spots for searching out vintage jewelry? I mostly find the vintage necklaces at a flea market in Rowley, MA. It is called Todd Farm and is extremely well known around New England. There are hundreds of tables and vendors with all sorts of items. It is pure bliss for me! I go with my mom almost every weekend to seek out new jewels to play with. I love the thrill of the hunt, so I don't leave until I have checked every single table for beaded necklaces. I usually come home with my reusable bag full of new shiny baubles to use. Being Eco Friendly is very important to my readers. What are some ways that you are eco friendly around your house? I always say I am an avid recycler. I do the usual paper, plastics, glass, etc. I also make sure whenever I find something I don't really need anymore, I NEVER throw it out. I either have yard sales or I pass it on to someone new. My mom and I even decorate with vintage or reclaimed pieces. My mom refinishes furniture and has the biggest collection of vintage glass I have yet to find! Most of the items in our house are recycled. I am always trying to lessen my carbon footprint and energy use, so I have been the light police lately. I almost forgot! I got this great tip from fellow etsian Hamsa Healing and I have to share it with all of you. She told me to use cracker and cereal boxes as shipping boxes, but you have to turn the inside out. I felt like I should've thought of it since I've been trying to reuse packaging supplies to ship orders. I have already used a few to ship items out it. They work great! I know you suffer from Chronic Headaches. Do you have any advice to those out there who are seeking crafting as a form of therapy. For me, making jewelry is a distraction from my everyday pain level. Something about using my hands makes me detach from however I'm feeling. I literally don't feel my headache when I'm making jewelry. Some days if I was in a lot of pain I could crank out up to 30 bracelets because I was so focused on keeping myself busy! As far as advice goes, I have to say you have to find what you love to do, and slow down. I found out I love to cook, make jewelry, and be with my animals through this headache. I am even going to go to college to be a Veterinarian Technician. I never would've come to that conclusion without my headache. It is a burden for the most part, but I figured out my path in life and I get to do what I love everyday! Even though I am out of school, still trying to graduate high school, I have time to find myself which most people can't say they can do with their busy schedules. The world is moving fast and we need to look back on our lives every now and again to determine what we want out of life and how we can get it. Wow! That's some good advice. Is there anything else that you want to share with my lovely readers, because you truly have a great story and are inspirational. I have to include something about my mom. She is an amazing woman who gets me through my toughest days. She is my best friend and I don't know what I would do without her. She is always there to get me ice packs in the middle of the night, help me with craft shows, and so much more. She is a truly special woman who deserves the recognition for my success as a crafter and a person. Amazing! Thank you SO much Erin! Lovely advice and stories, and I love her hair! 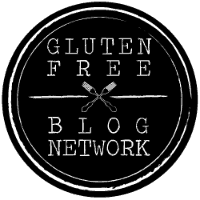 Thanks for introducing us here in blog land to Erin. She is a beautiful young women inside and outside. You are both wonderful! Thanks for sharing!!! Oh, and Roo is absolutley adorable.